Now that the City game is over, we can move on to the games which are very much going to define our season. It all starts with a trip to the North East where we take on a very resurgent Newcastle team who have found some form in recent weeks and have won 3 in a row. I always consider Newcastle to be a big rival of ours which goes back to the days of them having Cole and Beardsley and going for promotion in the old 2nd division. Newcastle’s recent form shows just how quickly things can change in football when you can string two or three results together. They were without a win and in the bottom three a few weeks ago and now find themselves above us in 13th position. Probably thinking they are going to get another win against us. I remember last year when we went up there early in the season and got roundly beaten 3-0 with young Rice getting taken off at half-time. I really expect him to have a point to prove in this game and lead us on to the 3 points. While West Ham’s form may not be bad in the fact we have only lost 1 game in 4 we have also only won 1 game in 6 and finding some consistency over the next month will be vital if we have any hopes of finishing in the top half of the table. I mentioned earlier about our poor performance last year but I feel we are a very different team nowadays. Playing a much better style of football and hopefully too much for Newcastle. Newcastle will be without Paul Dummett. While Jaime Sterry and Florian Lejuene will have a fitness test. Jamall Lascelles and Muto return to the squad. The usual suspects Winston Reid, Carlos Sanchez, Yarmolenko, Lanzini and now Fredericks are all long term injuries but the good news is that Arnie, Carroll and Jack Wilshere have all trained all week with out and problems. Snodgrass also returns from his suspension. I’m not going to get carried away with the return of Carroll, nut having him available is much better than not. It gives us another option if we are chasing the game or looking to win it in the final minutes of the game. I also can’t imagine many defences would like to be facing Big Andy and Arnie in a game. Newcastle United: Dubravka, Schar, Fernandez, Clark, Yedlin, Ki, Kennedy, Ritchie, Diame, Perez, Rondon. West Ham United: Fabianski, Zabaleta, Diop, Balbuena, Cresswell, Noble, Rice, Snodgrass, Anderson, Chicharito, Arnautovic. I fully expect to put our defeat in the last game behind us and go out and dominate this game. 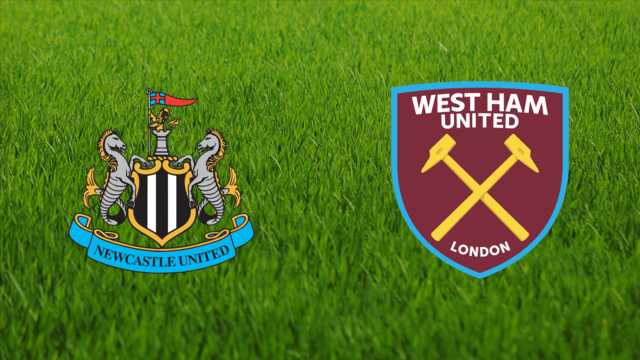 Newcastle will try to attack us with their new found confidence and be open for our front 3 to hit them on the counter attack and get some early goals, settle the nerves so I can enjoy the 2nd half without thinking the other team are going to spoil my day. I am going to go for a very bold 1-3 away win with Arnie, Snodgrass and Anderson getting our goals. The December run starts here.